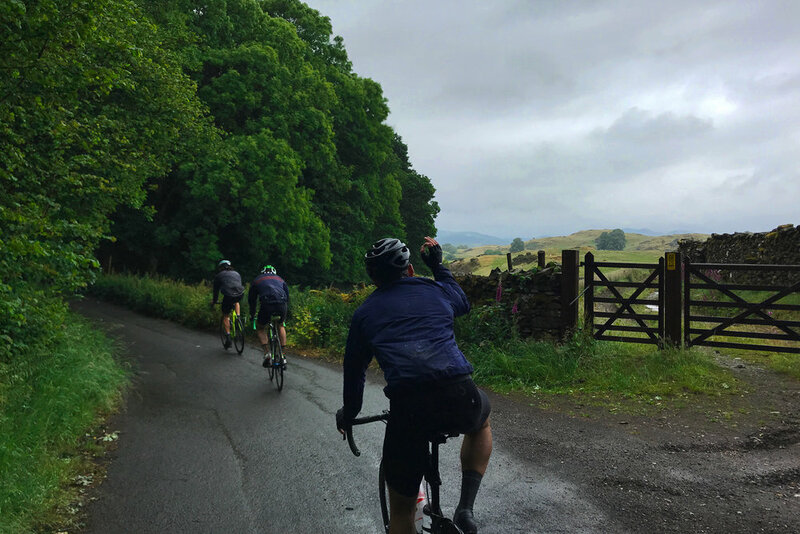 In June, seventeen Collective Members from around the UK congregated in a large, surprisingly cold cottage for a weekend of riding in The Lake District and Yorkshire Dales. With help from The Cold Dark North, we enjoyed three incredible days of riding on some of the best roads in not just the UK, but Europe. Some of us knew each other, whilst others had never met -- what drew us together was a love of riding, discovering the new in good company and introducing the familiar to the uninitiated. At some points we rode fast, at others we rode far, but most importantly we rode together. Cars and bags unpacked, bikes built and the group beginning to come together, we set out on a late afternoon leg loosener. 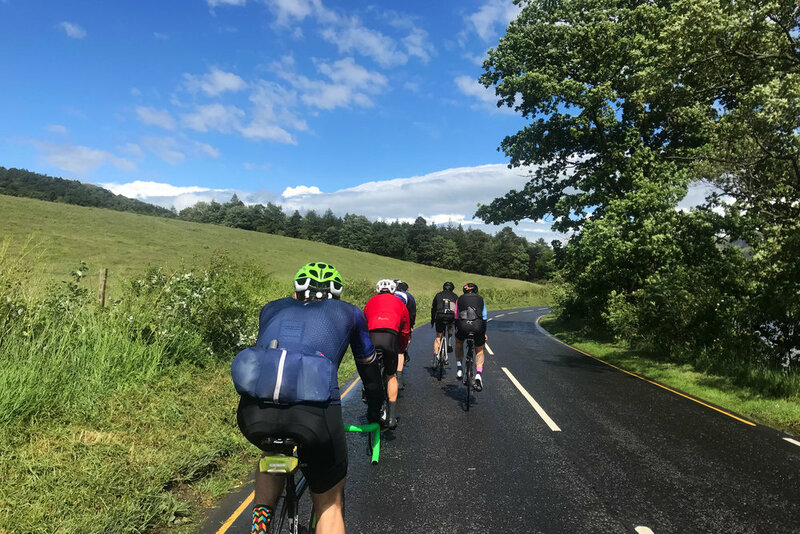 Just shy of 50km, we skirted the edges of the Yorkshire Dales, picked up a few more members of the weekend group and finished as any Friday in The North should: with a chippy tea. It's summer, so we can be forgiven for believing that The Cold Dark North might be neither cold nor dark during our fleeting visit -- especially having been lulled into a false sense of security during our bright and balmy evening ride the previous day. But as lunchtime rolled around and the weather continued to turn the precipitation dial closer and closer to eleven, we were all soaked to the bone and beginning to shiver. An extended break from the saddle and extra round of coffees did nothing to reignite the spark we needed to get back onto the road. Resigning ourselves to an afternoon of more of the same, we took some solace in the fact we found ourselves tackling the steep and narrow beginning of The Struggle. 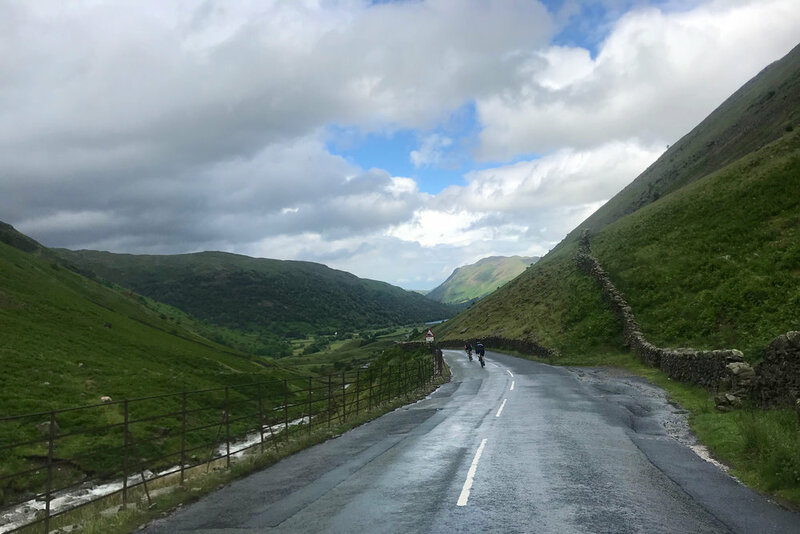 Forcing each of us out of the saddle, we grabbed out the zips of our waterproofs and let them fly open as patches of blue began to appear through the clouds. Cresting the top of the climb, we were greeted at the prospect of an afternoon drenched in sunshine and descended enthusiastically towards it, doing our best to take in the views that spanned for miles and miles ahead of us and that, just a few hours early, would've been entirely shrouded. 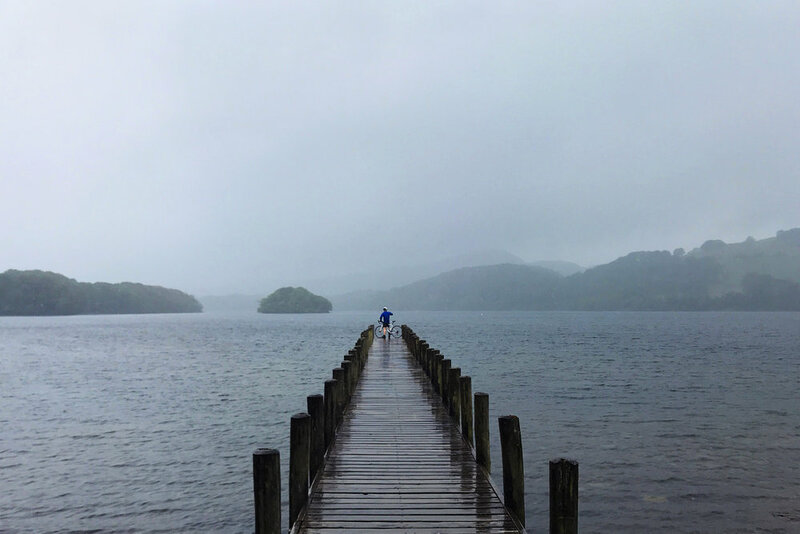 The Lakes. They're unpredictable, but, if you're patient, they can be incredibly kind. 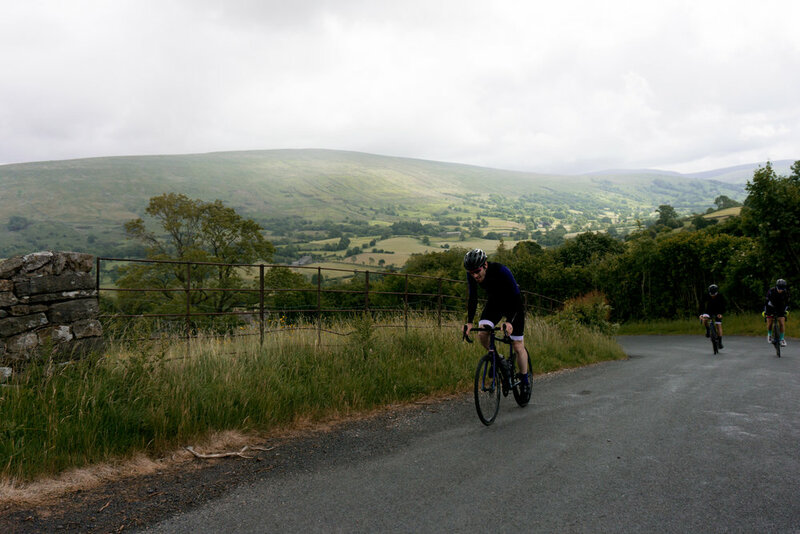 The final ride of the weekend took us along The Coal Road, a stretch that connects the now abandoned mines between Garsdale Head and Dentdale in the Yorkshire Dales. 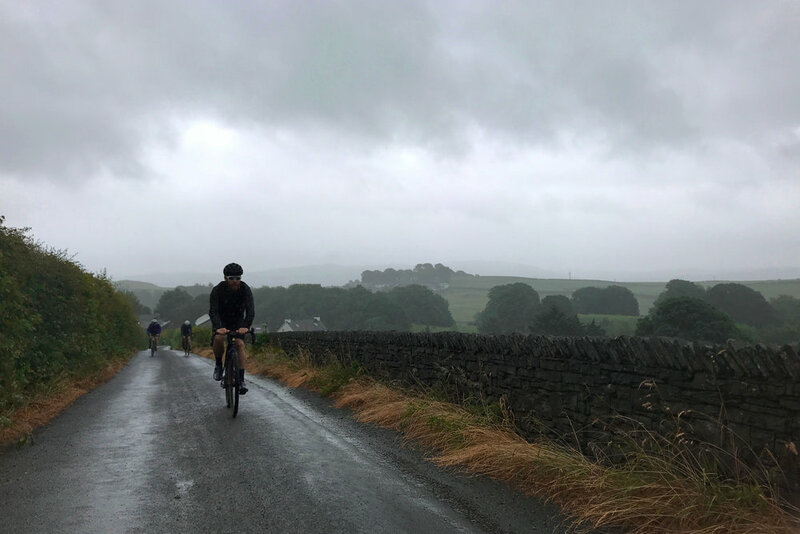 Amongst the many rising and falling roads we rode, sat within the Sunday mist, was the biggest climb of the day: Garsdale Head. This once gnarly stretch of tarmac has recently been resurfaced, which made for a beautiful ascent into the clouds. It's more forgiving incline and shorter distance was also infinitely less punishing than The Struggle the previous day.